If you think you can’t afford a comfortable bed, don’t give up and buy a cheap memory foam mattress. You won’t get the pressure-relieving benefits of memory foam if your new bed breaks down quickly, and you could even be putting your health at risk if it contains harmful chemicals. Find out how to get an affordable memory foam mattress that’s great for your sleep and body. Toxic chemicals like formaldehyde and chemical flame retardants that could cause brain disorders and cancer. Off-gassing of volatile organic compounds (VOCs) which has been associated with respiratory problems and throat irritation, forgetfulness, dizziness and headaches. Foams that break down quickly, resulting in a bed that sags and throws your spine out of alignment. A hot sleep surface that causes you to sweat and then gets moldy from all that moisture. It definitely doesn’t paint a picture of a comfortable bed! Learn more about off-gassing: Check out this great advice on dealing with off-gassing a new mattress. Sleep Natural is Just as Good as Other Expensive Brand Name Memory Foam Beds — But Cheaper! And we use Kool Komfort gel foam to make our mattresses, offering a cooler sleep than many other memory foam beds. Each Sleep Natural memory foam mattress resists mold, mildew and even dust mites, so you don’t have to worry about what’s lurking in your bed as you sleep. 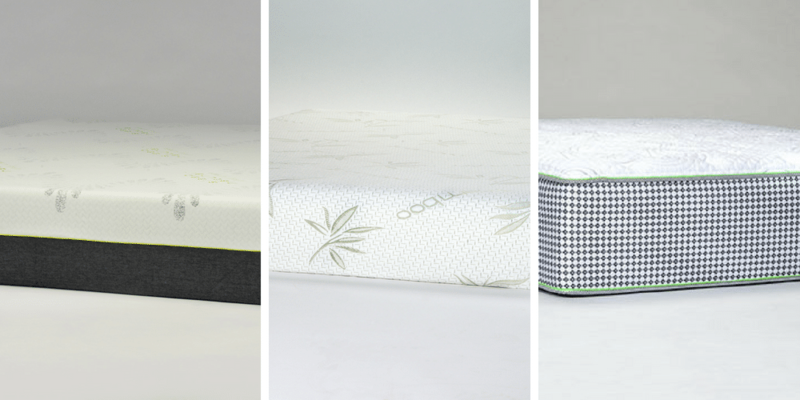 Finally, the dense, high-quality foam in our beds lasts longer than most to provide long-lasting support for your spine, and we back that claim with an impressive warranty. You CAN Afford The Best Memory Foam Mattress! Don’t give up on finding a comfortable memory foam bed that can relieve joint discomfort and improve your sleep. Shop our selection of natural mattresses online or visit a Mark’s Mattress Outlet to feel the comfort of a Sleep Natural bed and see a price tag that you can afford.